Are you looking for some cute Tamil New Year e-greetings in Tamil to wish your dear friends and family. This picture could be a perfect match for your search. 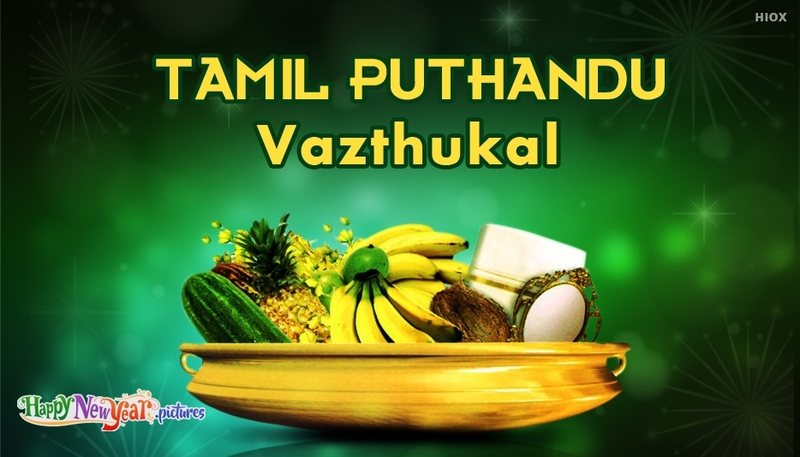 The picture portrays the new year wish in Tamil, "Tamil Puthandu Vazhthukal", which means Happy Tamil New Year, along with a beautiful greenish background and the image of a plateful of fruits called the "Vishu" fruits.